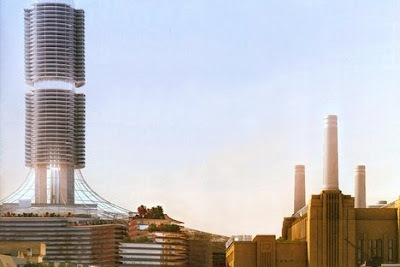 A good amount of buzz about Rafael Viñoly and his new Battersea Power Station development master plan. A comprehensive look from WAN shows a range of images and some descriptions of the features of the development. "The masterplan, unveiled today by Treasury Holdings UK on behalf of REO, will regenerate an area of London that will provide approximately 8 million square feet (750,000 square metres) of residential, office and retail space. 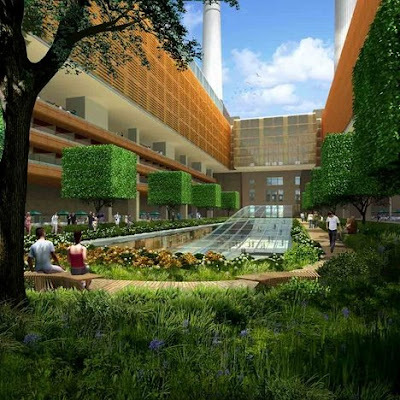 There will be a six acre public park, a riverside walk and an urban square." 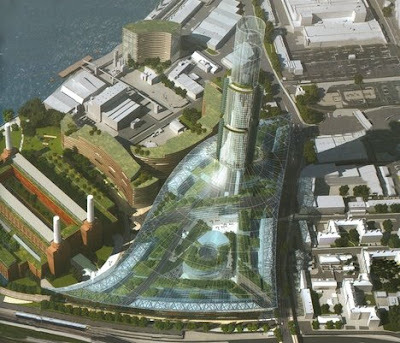 This is definitely a far cry from the old use of the site - sort of penance maybe, for the industrial heritage. Guess things have evolved a bit since WWII (see image below) and I assume we will see more about this soon, as there is already a battle brewing on this one with some grumbling about the proposal from the establishment. Fun!